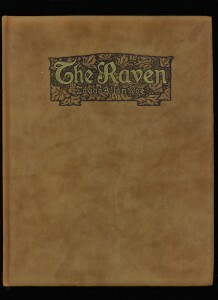 “The Raven” was published on 29 January 1845 in the New York Evening Mirror. 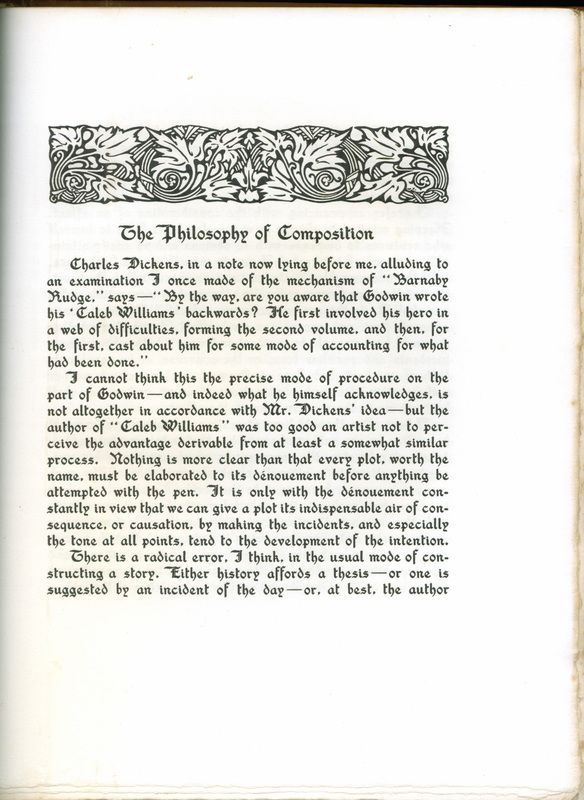 It was an instant hit and made Poe famous, although it did not earn him much money. 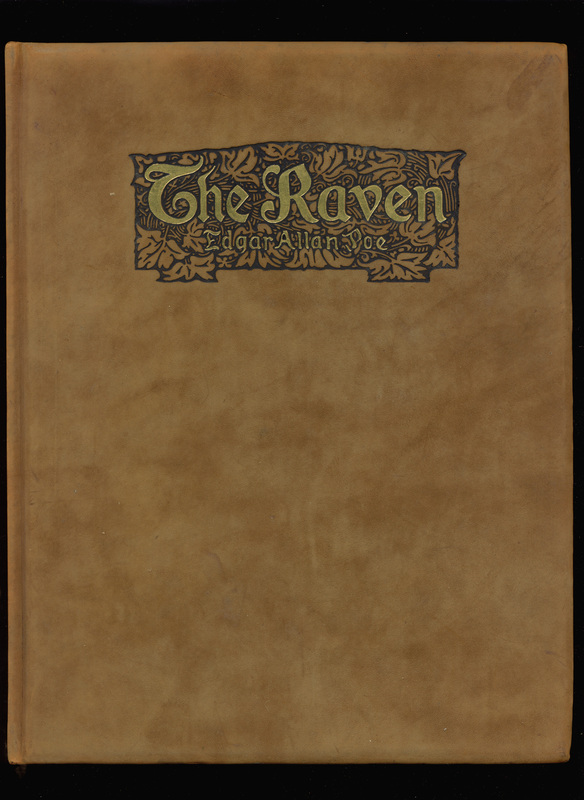 Nearly 170 years later, “The Raven” remains one of the best-known poems in the English language. 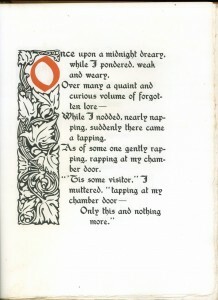 It has appeared in numerous editions and is a favorite with illustrators. 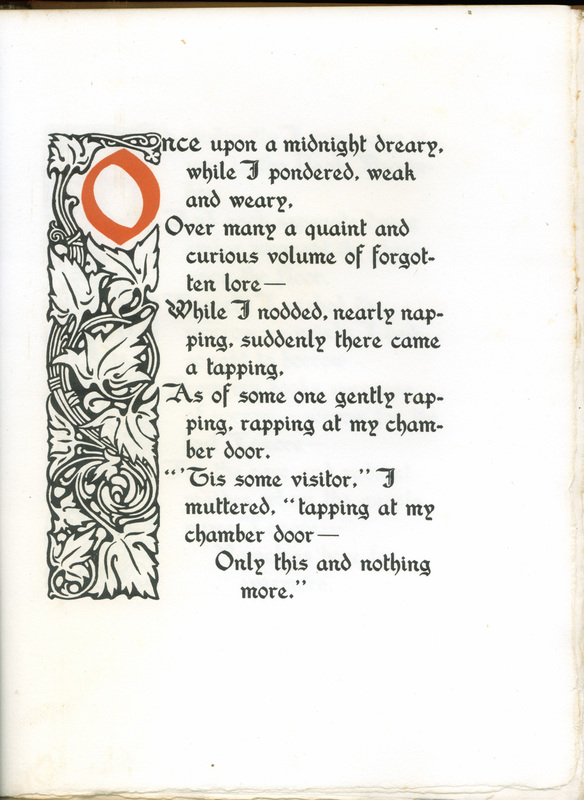 The poem has also been parodied many times; my favorite is “Ravin’s of Piute Poet Poe,” by Charles Leroy Edson, published in the Saturday Review of Literature in 1925. 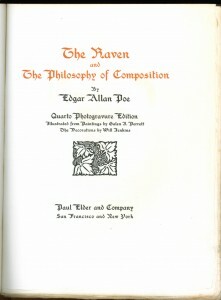 In 1846, the year after publishing “The Raven,” Poe wrote an essay entitled “The Philosophy of Composition,” in part to explain how he composed the poem (although it’s unclear whether Poe actually used the techniques himself). 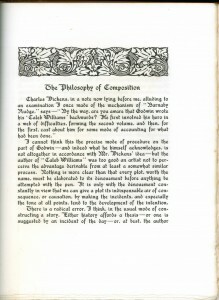 For example, Poe writes that “the death… of a beautiful woman … is unquestionably the most poetical topic in the world, and equally is it beyond doubt that the lips best suited for such topic are those of a bereaved lover.” Poe would feel this very anguish in 1847 when his wife Virginia died of tuberculosis. He himself died in 1849 under mysterious circumstances. Elder’s edition of The Raven and the Philosophy of Composition is a beautiful one: a limited edition of 1000, in suede cover with title stamped in gold, matching dust jacket, two-color printing and imported handmade paper. On the other hand, the book was set in Washington Text, one of Elder’s favorite display types but a poor choice as a text type. 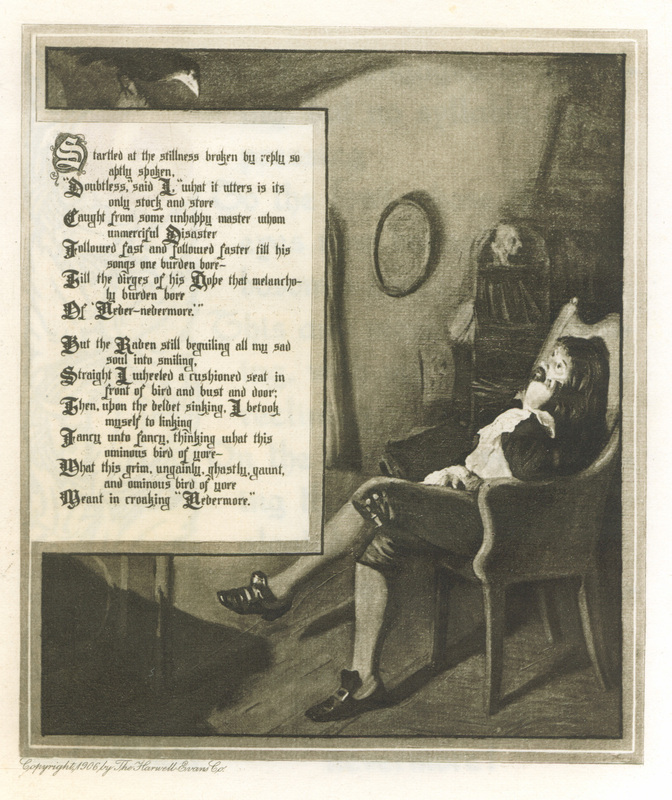 Galen Perrett’s illustrations are Victorian in character, which conflict somewhat with the Arts & Crafts feel of the rest of the book. In addition, the illustrations are reproduced too small, so that the poem (included in the illustration) is difficult to read. Despite these flaws, it is a very handsome book.